DESCRIPTION: This historical novel was Edited, Formatted, Registered, Published and Distributed by PTC Computer Solutions through its subsidiary company, PTC Communications. 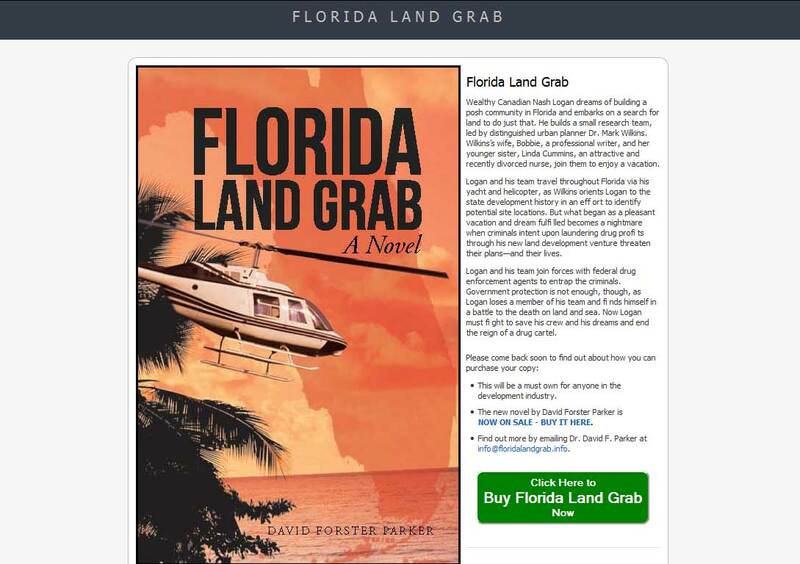 This was a website for author Dr. David Forster Parker to promote his book, “Florida Land Grab.” It is a novel of espionage and intrigue in the race to acquire development land in Florida through the years. This is a historical novel with tremendous details on the history of Florida land development. Find all about how Dr. Parker weaves the intricate plot into a thrilling adventure at www.floridalandgrab.info or at his personal website, www.davidfparker.com, or contact him directly at david@davidfparker.com or 904-992-9888.